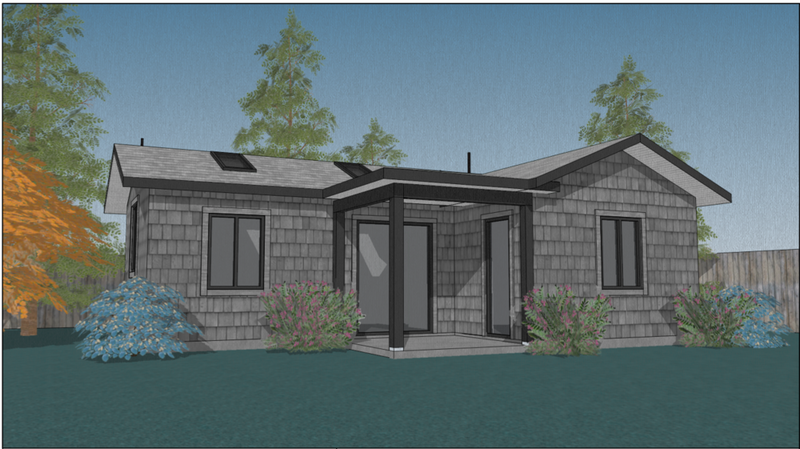 One bedroom accessory dwelling unit...learn more. Tell us what you'd do with Skyway cottage in our comment section below or on Facebook and the plan could be yours! We'll be selecting *FOUR* winners on July 4, 2018 to be announced before 8:00PM PST! WINNERS HAVE BEEN RANDOMLY SELECTED, VISIT THE BLOG POST ANNOUNCING THE WINNERS HERE. Or scroll down the comments to see the winners. If you're one of them please contact us for download information.